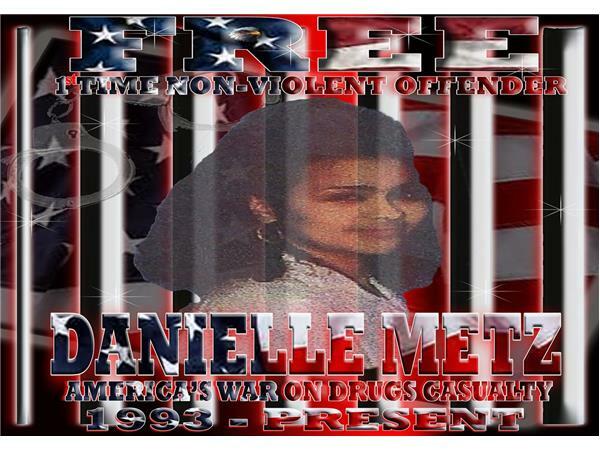 We air daily Tuesday thru Thursday at 1Pm PST, 3PM Central and 4PM eastern Standard Time. 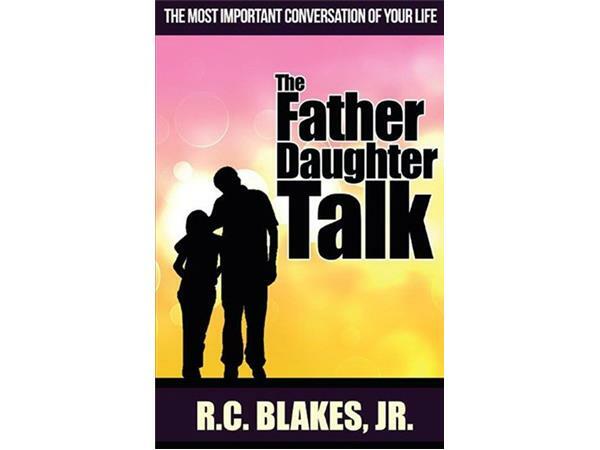 Our Saturday Segment airs at 5 AM Central Time and 8 AM Eastern time with Host Minister Billie Burns. 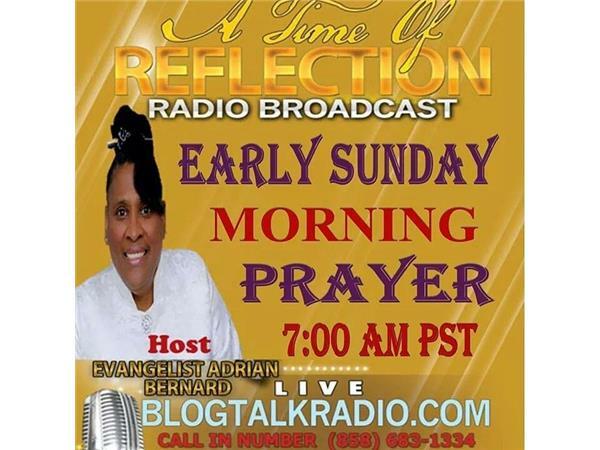 Tune in Expecting to receive Fresh Oil from God Almighty. 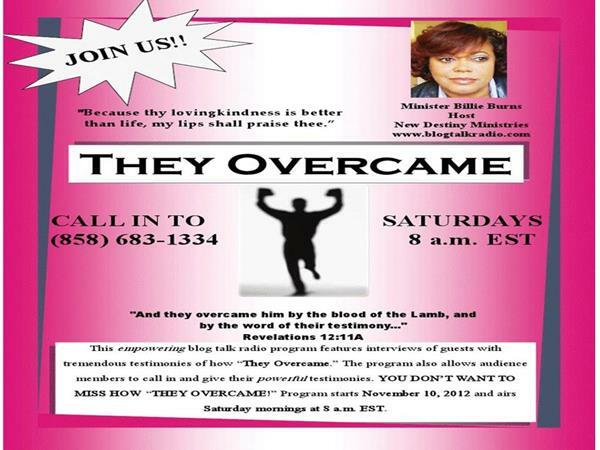 The call in number for all segments is (858) 683-1334. 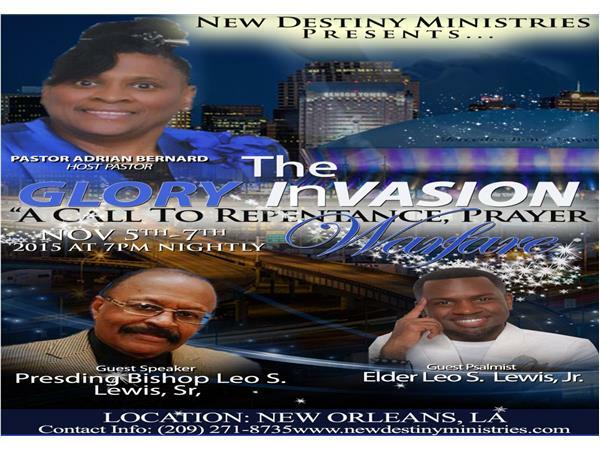 Please email us at newdestinyministries54@gmail.com and mail any Prayer request and/or Praise Reports to : New Destiny Ministries, P O Box 750122, New Orleans, LA. 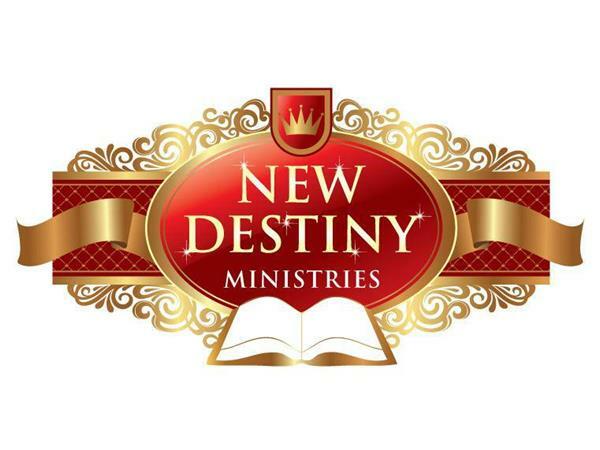 Also we welcome you to Like our New Destiny Ministries Facebook page and Twitterpage @newdestiny54. 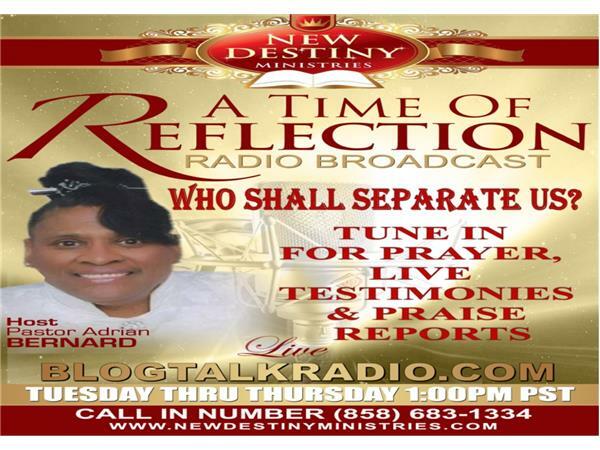 Listen online at www.newdestinyministries54.com to hear our Archives Messages or on Blogtalkradio.com. Vist us on our Youtube Channel.